A Life-Changing Transformative Weekend Training Experience | Niurka Inc. Limiting seating is available. Tickets sold on a first come, first serve basis. WHAT IS QUANTUM LEAP YOUR LIFE? Quantum Leap Your Life is not a “seminar” - it’s a Riveting Transformative Experience that will Empower you with Knowledge, Tools and Strategies to Consciously Create your most Magnificent Life by Design through the Powers of your Intention, your Vision and your Effective Communication. This Powerful Life-Changing weekend event will Ignite Your Motivation and make a Significant Measurable Positive Difference in every area of your life...business ventures, relationships, your body, and your mind. You’ll be guided to Courageously Step into Your Future Vision with Clarity, Strength and Elegance. Join us for this Once-in-a-Lifetime Weekend....and Rise to your Next Level of Success, Fulfillment & Contribution. When you change, the world around you changes - YOU have that much power! What if you could rapidly evolve your communication skills - in a way that inspires you to speak with greater purpose, poise and power than ever before? Your Life will be enriched significantly!!! This applied knowledge TRANSFORMED my own life; it’s evolved the lives of my brilliant students from around the world in profound ways. This is why I’m inspired to share QUANTUM LEAP YOUR LIFE with you too! 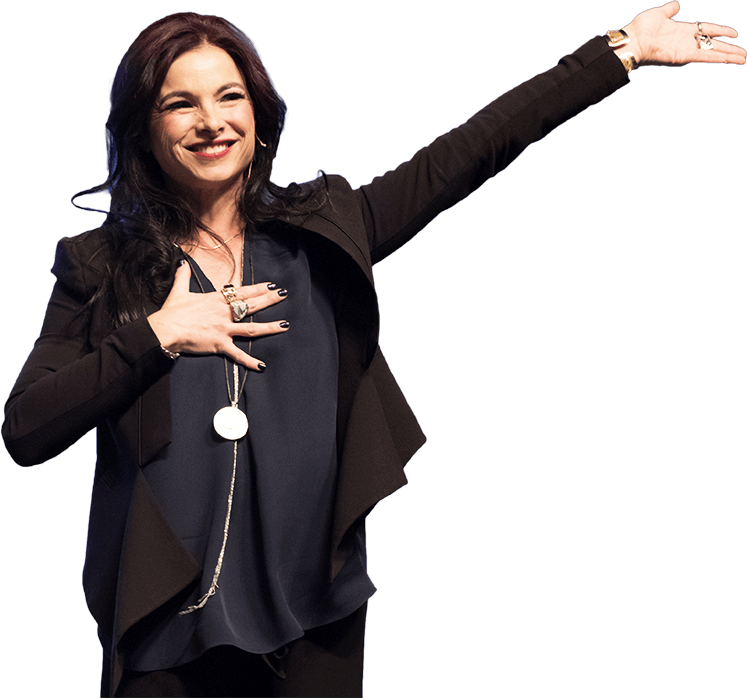 Since launching my company in 2000 (after breaking records as the legendary top trainer for Anthony Robbins), I’ve guided hundreds of thousands of people to... elevate the way they think, speak and live. 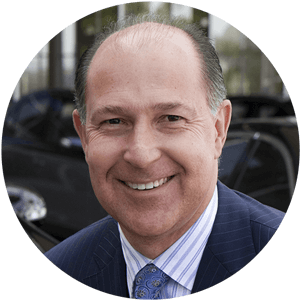 Many of the most successful corporations in the world (such as, Mercedes-Benz, Prudential, Marriott) have produced record-breaking results applying my teachings. My passion led me to research and integrate wisdom from numerous disciplines— cognitive neuroscience, psychology, business mastery, leadership, quantum physics, and spirituality. 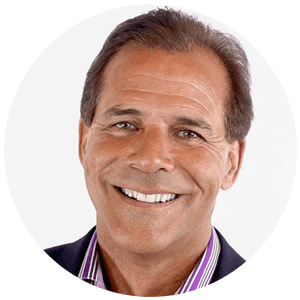 My discoveries inspired me to develop the most value-packed 2-day event in the world, QUANTUM LEAP YOUR LIFE… To Empower YOU. COMMUNICATE YOUR VISION INTO MANIFESTATION. Now is your Time to Rise to Your Next Level… YOU have an important role to play. To live authentically, support others on their path and fulfill your highest destiny, it is essential to elevate your thinking, evolve your communication and live with awareness of how your conscious presence influences the whole of existence. What if you could rapidly evolve your thinking and communication - so you speak with greater purpose, poise and power than ever before? Your Life (and our world) will be greatly enriched!!! This applied knowledge TRANSFORMED my own life many years ago. It’s evolved the lives of my brilliant students from around the world in profound ways, which is why I’m inspired to share Quantum Leap Your Life with you too! 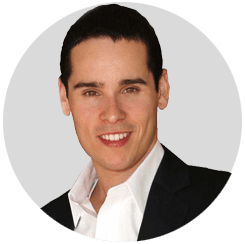 Since launching my company in 2000 (after breaking records for Anthony Robbins), I’ve guided hundreds of thousands of people to elevate the way they think, speak and live. My passion led me to integrate wisdom from numerous disciplines— cognitive neuroscience, psychology, business, leadership, quantum physics and spirituality. 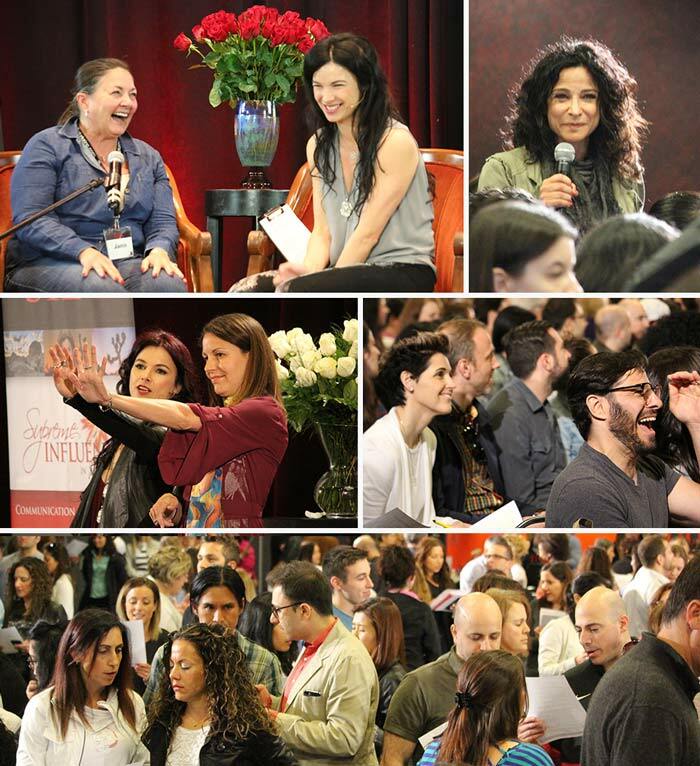 My discoveries inspired me to develop the most value-packed 2-day event in the world, QUANTUM LEAP YOUR LIFE… for YOU;) To Empower YOU in COMMUNICATING YOUR VISION INTO MANIFESTATION. 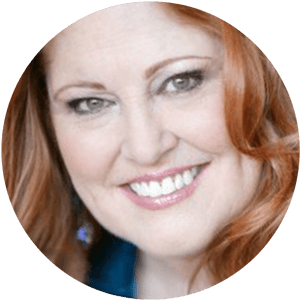 You’ll be receiving two (2) full value-packed days of live Hands-On Coaching and Training from a genuine transformational leader and master teacher, Niurka. You’ll be guided with cutting-edge step-by-step instruction, inspiring stories, LIVE demonstrations, and interactive exercises to powerfully BREAKTHROUGH anything blocking you (like, limiting beliefs or bad habits) on the spot. Imagine finally being FREE of old disempowering habits that no longer serve you and instead, be able to create the ripe fertile conditions for you to grow and soar into the next stage of your greatness. That’s what this weekend is about… Quantum Leaping YOUR Life...and, stepping into greater joy, and outstanding results in all areas of your existence (even better than you can imagine)! Through The Power of Your Communication. Wisely Take Charge of Your Life by understanding how your thoughts (neuro), your communication (linguistic), and your patterns of behavior are connected. You’ll be Illuminated with Scientific Knowledge and empowered with potent strategies to BREAKTHROUGH - and create your most magnificent life by design (from the inside out) so you can be who you want to be, do what you want to do, and have what you want to have. Imagine… Stepping into the Greatest Version of YOU! Envision... Living in your Highest Potential, consistently and naturally. 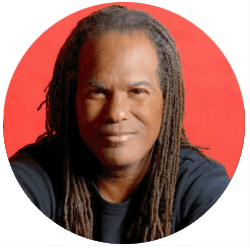 It’s Time…to QUANTUM LEAP YOUR LIFE! Don't miss this unique life-changing opportunity. STEP INTO YOUR HIGHEST DESTINY. Empower yourself with strategies to transcend negative influences. If you want to... Rise to your Next Level of Success, Fulfillment and Contribution - in business and every area of life. If you have BIG Visions and Dreams... The LIVE 2-Day QUANTUM LEAP YOUR LIFE Event is for YOU. Attendees span a wide range of personal and professional backgrounds. That’s one of the keys that makes this event so uniquely special. The only prerequisite is YOU showing up with an open mind, ready to play full-out and evolve. Where you are right now is the perfect place to begin this journey! 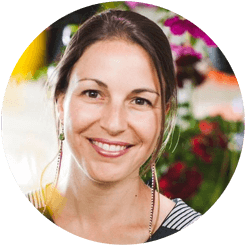 “Niurka is a trustworthy guide who takes you to the CORE of what it means to be authentic. She sets before you a rich banquet of wise choices for manifesting your highest potential. 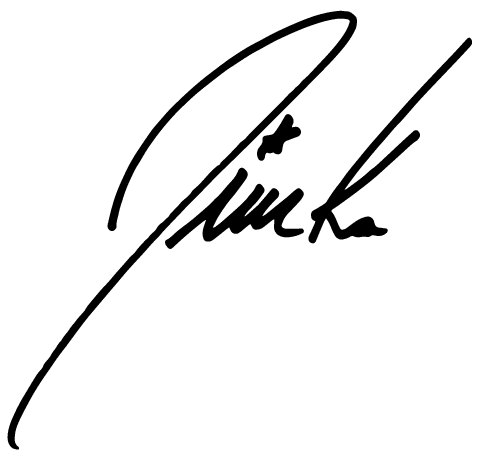 “Before Niurka, I was having roller coaster success, my relationships were not ideal; I wasn't living the life, nor having the impact I was meant to have. Afterwards, my life took a turn for the best. Successes are piling up in my business, relationships, finances, spirituality and connection with my highest Self. Thanks to Niurka - who helped me crack the code - I know I can create everything I want in my life. Communicate Your Vision into Manifestation Now! 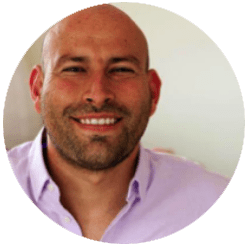 "I increased my business 127%"
"This stuff works - it saved my life"
"I have the tools to move forward"
"I made room for new inspiration"
"Working with Niurka, we've seen dramatic improvement of 10-20% every year. I personally recommend her. There’s no question... her work is of great value." "Working with Niurka, we've seen dramatic improvement of 10-20% every year. I personally recommend her. There’s no question... her work is of great value." 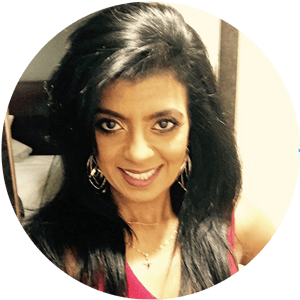 Niurka is a Transformational Leader and Master Coach who will guide you to Elevate the Way you Think, Speak and Live. For two decades, she’s captivated hundreds of thousands of people, from all walks of life, with her life-changing transformative experiences. 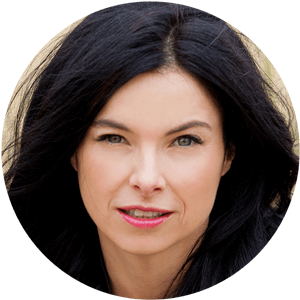 Her unique blend of linguistics, neuroscience, psychology and quantum physics, combined with her in-depth understanding of ancient-wisdom, creates an integral learning environment for you to Quantum Leap Your Life. Niurka unites business with essential wisdom of mind-body-spirit. She’s been sought out by many of the finest corporations in the world who have produced Record-Breaking Results applying her strategies. Her corporate training curriculums have measured to increase an organization's productivity by 100% or more, such as Fletcher Jones Motorcars, who became #1 Mercedes-Benz dealer in the world, and #2 automotive dealer in U.S within 7 months of applying her teachings. Author of Supreme Influence: You Create As You Speak, Your Words Have That Much Power! When Niurka speaks, you’ll be empowered and educated. She reveals tactical teachings and techniques with humor, elegance, and vivid storytelling. She’ll spark a riveting conversation within you that’ll pave the way for your visions to become real. She’s authentic and radically uplifting. Being in her presence inspires positive change. Prior to launching Niurka, Inc. in 2000, Niurka traveled with Tony Robbins for five (5) years as his legendary #1 Corporate Trainer.